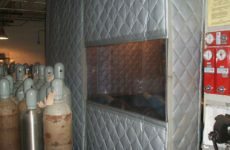 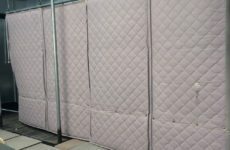 Sound blankets (also referred to as acoustic blankets) and industrial curtains are designed to minimize noise pollution. 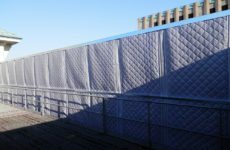 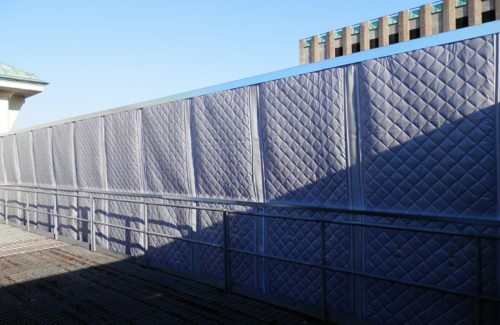 Featuring a quilted fiberglass outer layer and an inner layer that stops the penetration of noise, acoustic blankets perform up to 25dB-A. When used properly, industrial curtains have a significant impact on noise control. 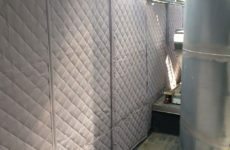 Quality matters in order to obtain ideal noise absorption. Constructed from rugged Class A sound-absorbing materials, our commercial and industrial curtains can be used both indoors and outdoors. Industrial curtains and acoustic blankets come as custom-fit solutions designed to either wrap around the noise source or hung to create an enclosure. 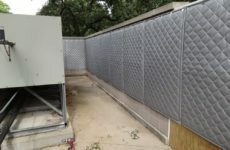 They’re available in many different configurations, including fixed positions or on sliding tracks, to provide partial and full noise enclosures. 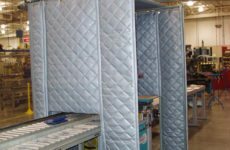 Additionally, we can incorporate floor or ceiling-mounted suspension systems over an enclosure or leave the top open for ventilation. 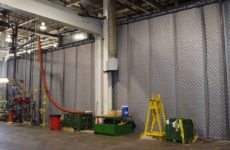 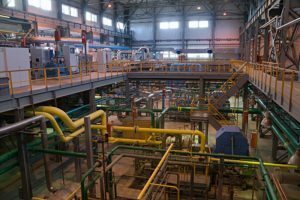 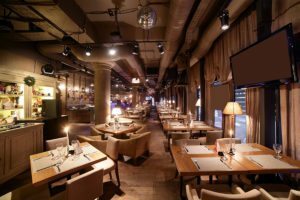 Although acoustic blankets and curtains aren’t the solution for every noisy industrial application, they can have impressive performance when used appropriately. 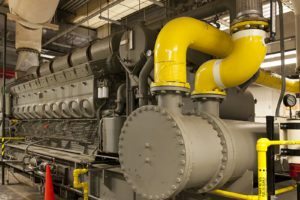 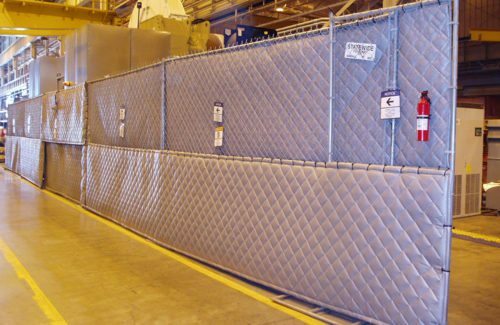 O’Neill Engineered Systems, Inc. can help you determine the best option for your industrial, commercial or institutional environment. 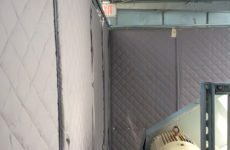 View specifications below or contact us today! 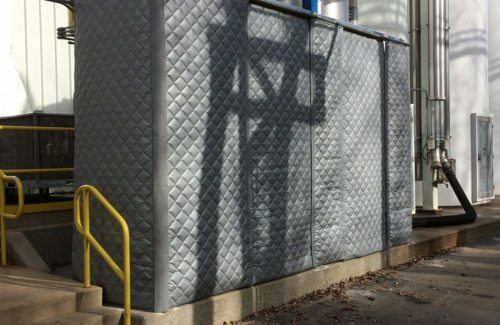 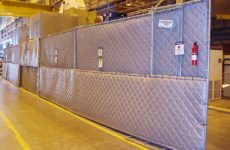 Harnessing modular panel construction and durable materials (including reinforced vinyl barriers, nylon, fiberglass, heavy-duty grommets), our sound blankets are perfect for applications where easy-accessibility, chemical resistance, a favorable appearance, and (of course) noise reduction are required. 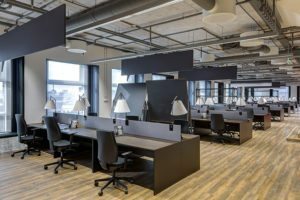 Office soundproofing, sound reduction & absorption for offices with open plan layouts, high ceilings, sound reflective surfaces, as well as for offices that deal with confidential matters.